Ambitious architects and hard-working chefs are taking Oslo to new heights. And if that doesn’t peak your interest, try hiking to the top of Norway’s tallest mountain Galdhøpiggen and see Eastern Norway from 2,469 metres above sea level. Ambitious architects and hard-working chefs are taking Oslo to new heights. And if that doesn’t peak your interest, try hiking to the top of Norway’s tallest mountain Galdhøpiggen and see Eastern Norway from 8,100 feet above sea level. Combine cool city culture with wildlife experiences in raw nature. 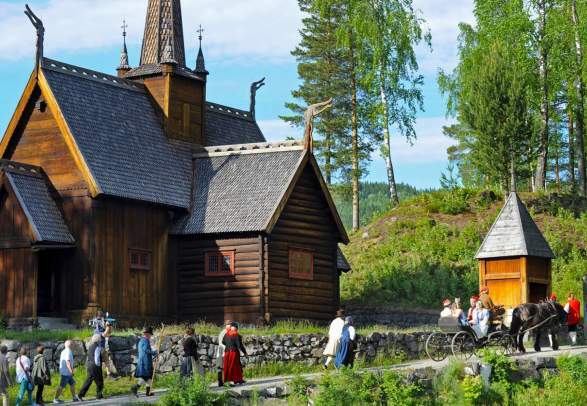 In a surprisingly short time you can get from charming coastal towns in the Oslo region via huge forests populated by moose to Norway’s absolute highest and mightiest mountains in the Jotunheimen national park, where you can even walk on smaller glaciers – on guided trips, of course. Many kickstart their holiday in the capital of Oslo, which is also the country’s main hub for international and domestic travel. The urban vibe is boosted by new architecture, exciting food, and a lively music and art scene. The city is also a good base for day trips around the region. Even though Eastern Norway is by far the country’s most populated region, there are vast areas of almost untouched nature and plenty of things to do outside. Why not start with compact island hopping, a boat ride on Norway’s largest lake, or fly-fishing in one of the famous salmon rivers? The hiking possibilities are endless, with the Besseggen ridge as only one of many popular mountain routes. Cycling enthusiasts can choose between classic tour routes, internationally renowned bike parks, or leisurely biking along national cycle roads. The scenic mountains and valleys of Eastern Norway are perfect for skiing and other winter sports. 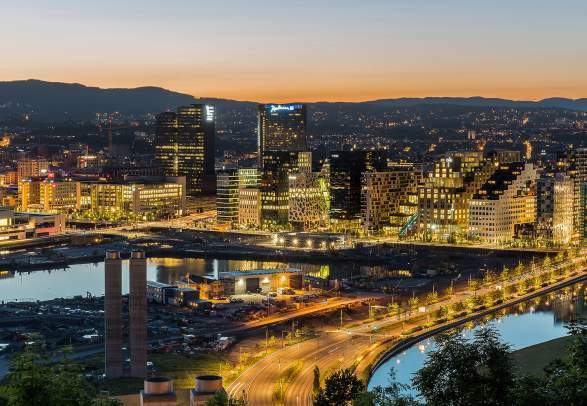 Urban life and rural charm, cutting-edge architecture and Viking landmarks, world-class dining and local markets, cultural happenings and pristine nature, all close to Oslo. Nature-based activities, top-notch dining, exciting art experiences, and local communities in a landscape of tall mountains and deep valleys.